Pokemon GO keeps racking up numbers and threatens Tweeter’s crown of the most actively used application in the world of mobile applications. Before we start talking about the prospects this technological phenomenon opens up for our industry, we need to take a firmer grasp on some crucial statistics. On July 13, SurveyMonkey confirmed that Pokemon GO is officially the biggest US mobile game ever. With over 20 million active users, this game just surpassed Candy Crush Saga and notorious Draw Something. Both games were huge in terms of popularity and now they are about to be forever overshadowed by the monster Pokemon GO slowly turns into. Total downloads are making it over 15% in Australia and New Zealand with a number of total downloads being slightly over 10% in the USA, reports Digital Vision of SimilarWeb. Pokemon GO wrecks the market with its innovative gameplay and unconventional design. Why is Pokemon GO so important for developers? AR development services have been existing for quite a while. However, up until today, there were no truly huge applications that would make a noticeable impact on the industry. Augmented Reality app development struggles with finding the right approach to the audience, puts its hopes into upcoming wearables and constantly looks for ground-breaking solutions. Surprisingly, all these things are unnecessary when it comes to making a successful product. You need a great idea and solid execution to create a good product that can impact the market. Using a camera with AR features. The list can go on. Notice that most of the features are not anyhow ground-breaking. We know them, we have used them multiple times, we studied and mastered them. The problem is that AR development services never had a good fundamental idea that would make all those features “click” together. Pokemon GO is a new generation of AR applications. This is a game that initially was developed with AR features in mind. At the same time, the game is not made for the sake of Augmented Reality like the relatively successful “Zombies, Run!” or other similar projects. Pokemon GO utilizes the environment naturally, truly augmenting it and turning it into a complex new world. The game makes your regular grocery store an important part of gameplay by allowing you to use it as a PokeStop. The game forces you to explore neighborhoods hunting for mysterious magical creatures. The game enables more social interactions by its PVP system. Honestly, these features are not uncommon and there are still millions of great ways for you to use them. All it takes is a bit of creativity with how we implement AR features improving and changing the very functionality of our applications. 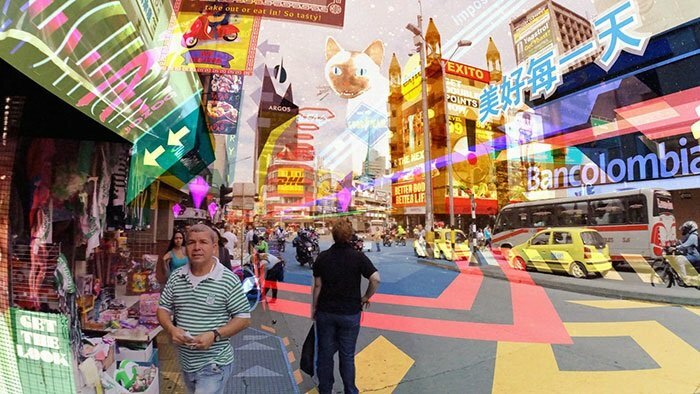 Augmented Reality app development will surely deliver more impactful games and apps in the future and Pokemon GO made this future that much closer. 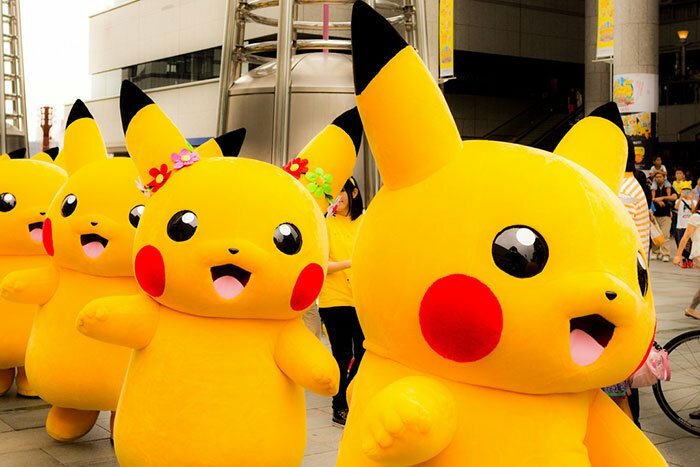 Why did Pokemon GO become so successful? In early 1990’s, Satoshi Tajiri developed a very simple game called “Capsule Monsters”. The hunters in that game had charisma and could tame monsters in the wild. They used spherical capsules to catch those monsters and could participate in fights personally. In 1990, Satoshi didn’t know that his creation will become one of the most successful videogames in history. Pokemon Red, Blue, and Green sold more than 30 million copies by 1996. The concept gave birth to a huge universe that consists of manga, anime series, numerous games, and countless merchandise. This is a worldwide phenomenon that we had the luxury to forget to shift our attention to other cultural wonders over the course of last 20 years. However, 2016 is the year when Pokemon GO takes back the spotlight in a fashionable manner. Using a well-known setting is the way to go when building an application that utilizes unconventional tech or innovative features. What many modern games developed with the assistance of AR development services lack is a good backstory. There are various great universes and settings that could be used as a solid fundament for a game similar to Pokemon GO that can utilize the environment perfectly. We have Zelda, Doom, Mario, and many other great settings. It just happened so that Pokemon Universe is pioneering the AR domain. We still believe that the most important aspect of Pokemon GO’s success is that the universe of Pokemon is so popular. Millions of smartphone users are familiar with this setting and grew up dreaming about catching Pokemon in real life. Today, their dreams became real. However, this game is objectively far away from being extremely enjoyable. Clunky controls and connectivity issues make combats frustrating. It is hard to tap the hit-targets in the middle of the fight and the game constantly disconnects from the server. There are problems with variety and game balance. These are not even issues in the long run and most of them are soon to be fixed. 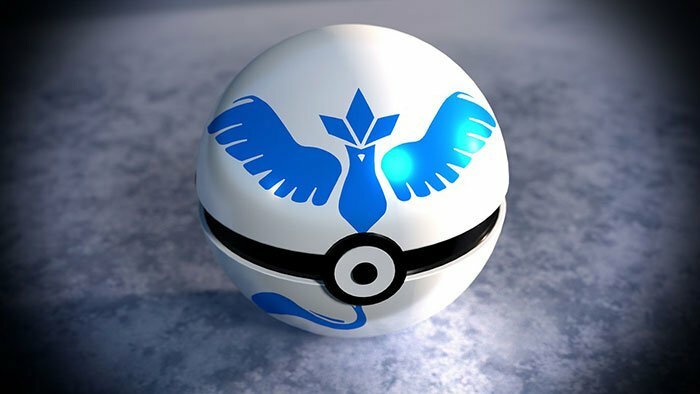 However, you can easily find a Pidgeotto weighting mere 200 grams. User Interface still looks lackluster and demands fixes. There are various issues with the interface, hit-target sizes, and the layout. General stability issues. The game often crashes when catching a new Pokemon. Bugs and errors are plentiful. These issues alone could destroy any other game, but not Pokemon GO. This is still a more than playable mobile game. The game still grants you an opportunity to become a Pokemon trainer. This is still the only game in the world that allow you to catch a Pikachu on the playground near your household. Pokemon GO is easily the most important project for Augmented Reality app development in 2016. With Google Daydream around the corner, the industry desperately needs investors. It is really hard to convince the big bosses of Wall Street that a relatively small mobile application can be financially successful without an example of actual success. Recently, The GreenBot released a small article about games that could receive a breath of fresh air with the release of Google DayDream. Their TOP10 list is full of fairly successful projects that gained popularity and now steadily decline. However, these are all titles that do not need any introduction. Google DayDream presents a whole new array of opportunities for developers. Hopefully, there will be a place for new innovative applications and ideas. Progress is impossible without failures. The failures have to happen in order to push the industry further. We learn from our mistakes. Unfortunately, developers cannot afford to make mistakes and many will look away from the industry where investors are restrained by the inexistence of successful projects. Pokemon GO will surely attract more fund to the AR segment of the industry. Additional funding will warrant developers’ activity and willingness to risk. This will enable more ground-breaking solutions and ideas worthy of being in the vanguard of the industry. The success of Pokemon GO has another side effect. Many enterprises will notice how the implementation of AR features can significantly improve UX and enable enjoyable user engagement. This will lead the industry towards the point where most of the applications will have certain AR elements. Just like social media integration and implementing geolocation became necessary part for any successful business application, augmented reality elements will be added to nearly all upcoming apps. At the same time, Pokemon GO is an industrial phenomenon capable of sustaining a new industrial segment. Remember how twitter allowed multiple complementary applications like BioIsChanged to exist? Something similar can and will appear to feed on the huge success of Pokemon GO. This opens up numerous opportunities for startups and established developers. The market will surely start leveling the prices. With more customers interested in AR development services, the pricing will modify itself due to fiercer competition. Before Pokemon GO, the sheer amount of developers offering AR development services was small and their clients didn’t have a clear understanding whether they are overpaying or underpaying. Hopefully, new developers and more clients will figure out the pricing standards for this growing industry. Finally, while Pokemon GO surely occupies the spotlight, come direct competitors also receive additional attention. QUARTZ recently highlighted Ingress, a revolutionary AR game that has been unnoticed for a long time. Clandestine Anomaly is another great AR game. These projects will also get more attention from users just because Pokemon GO is so amazingly successful. Pokemon GO is the biggest industrial phenomenon up to date. The game is bigger than Twitter and its worldwide release has not yet happened. Pokemon GO has already impacted our industry, but it may bring even more opportunistic developments in the nearest future. With the success of this mobile game, many upcoming AR apps and wearables will be anticipated and welcomed warmer by the community. Hopefully, our industry will produce more products like this game!